There’s plenty to get used to when it comes to living in a new country. The language, transportation, and cultural customs all tend to require some navigating and flexibility. Another unfamiliar element that’s often overlooked? Food! 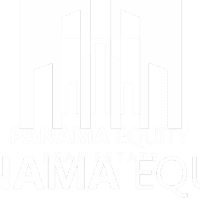 Many of us love Panama for the wide range of local and international cuisines that are available in the country’s thousands of great restaurants. When it comes to shopping for food, though, it can be hard to know where to start. To make matters simpler, we’ve compiled the ultimate guide to food shopping in Panama. Keep reading to find out about the top merchants you need to know about for all of your food shopping needs. From the modern supermarket chains to the small independent grocers and farmers markets, this list has got it all. 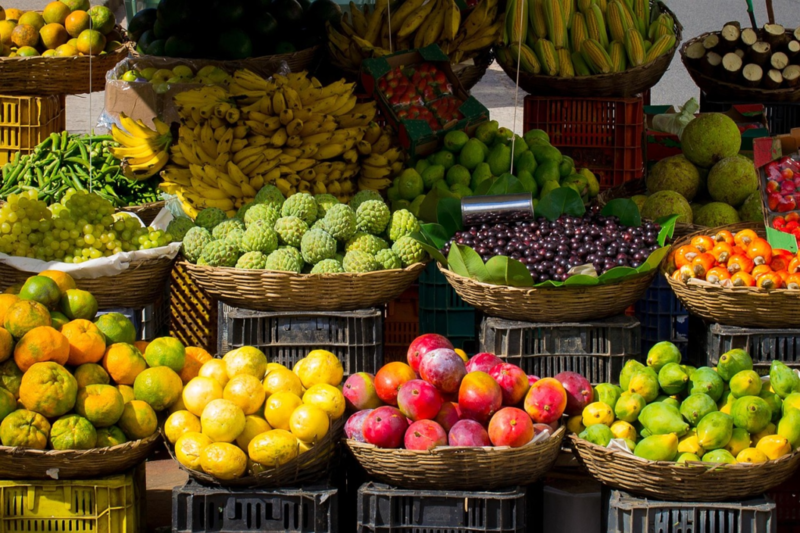 There are even specialty supermarkets including a handful of Kosher grocery stores, a fantastic seafood market in Casco Viejo, and a number of great local produce markets where you can pick up fresh Panamanian herbs, fruits, veggies, and flowers. Regardless of what you’re looking for, you’ll know where to find it after reading this post. So let’s get started! 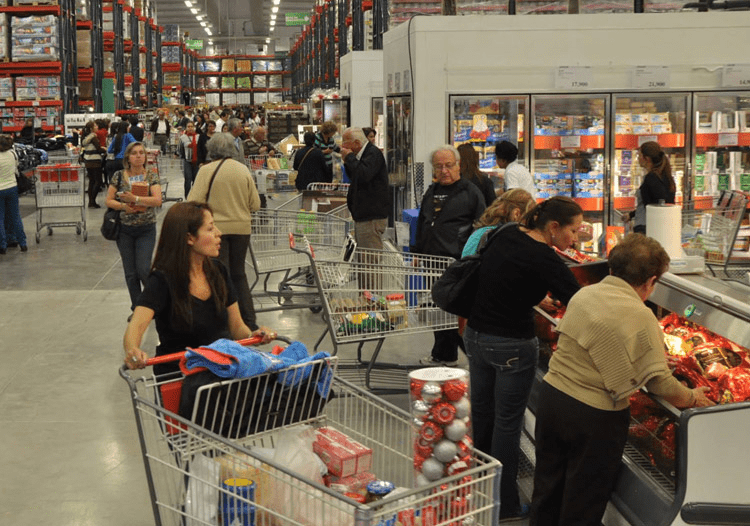 Like any developed nation, Panama has a handful of large supermarket chains that dominate the market. In this case, there are three: Riba Smith, Rey, and Super 99. While there are subtle differences between the three, all of these will provide nearly everything you could need for a full shopping trip. Depending on the store and location, this may also include a pharmacy, health food section, a deli and prepared foods. Over the years, these stores have also come to stock more and more international products. Occasionally, you’ll hear residents debate on which of these three is the best. Most often, though, preference comes down to what is most convenient for you. 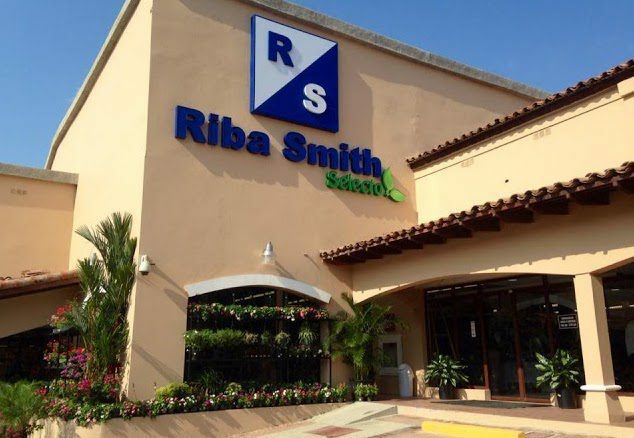 Riba Smith is a supermarket favorite in Panama for expats and Panamanians alike. This grocery store chain features brands from all over the world, some of which are sold exclusively in Riba Smith. They have an excellent deli with prepared foods, and a cafeteria with fresh food prepared daily in all of their locations. Riba Smith Panama has a diverse selection of cheeses, exotic fruits and vegetables, and a number of American and International brands – things like salad dressings, seasoning packets, and sauces from around the world that are only available at Riba Smith. Their wine selection is better than average, and they have an excellent bakery featuring local breads, pizzas, and crackers. Most locations also have a full pharmacy. Riba Smith has half a dozen or so supermarket locations across the city in Bella Vista, Transistmica, Multi Plaza, and Costa del Este. One other interesting thing about this particular supermarket is that they are leading the way with innovative shopping in Panama. Their online shopping platform is user friendly and getting your groceries delivered is a breeze. Overall, Riba Smith tends to be the most expensive supermarket chain in Panama, however, I have found that the shelf life of their vegetables tends to be a bit longer than other grocery stores. They also have a great selection of health food and specialty diet options like Gluten Free, low sugar, and Kosher options. El Rey is an American style supermarket chain in Panama. El Rey has everything you would expect from a supermarket back home: well lit, clean, reasonable prices, and they usually keep a good stock of items. They also have a good beer, wine, and liquor selection. Most El Rey supermarkets have a deli with premade foods such as rotisserie chicken, sandwiches, prepared salads, etc. I personally love their Greek salad, and their empanadas are pretty tasty too. El Rey is similar in price to Riba Smith and they have a very nice health food section for specialty diets including Gluten free, diabetic, and low salt/sugar options. You can find El Rey locations all over the country, including EL Cangrejo on Via Espana, El Dorado, Albrook, Coronado, David, and outside the capital as well. El Rey also offers a card where shoppers can acquire points towards prizes. 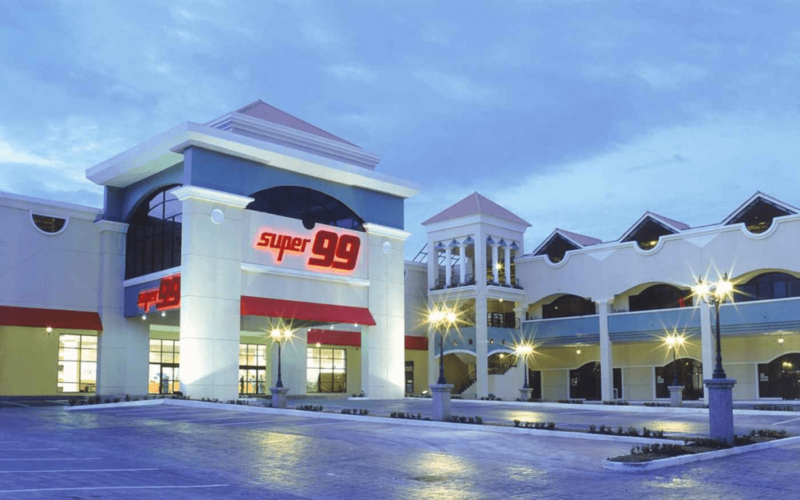 Super 99 rounds out the big three list of grocery stores in Panama. They have more locations than El Rey and Riba Smith, including in the suburbs outside of the city center. Many of the Super 99 supermarkets, such as the one in Punta Pacifica, are very nice and have a great selection for toys next to their main grocery store. At Super 99, the prices are competitive with the other big three supermarket chains, the availability is usually good, and the store is always very clean. 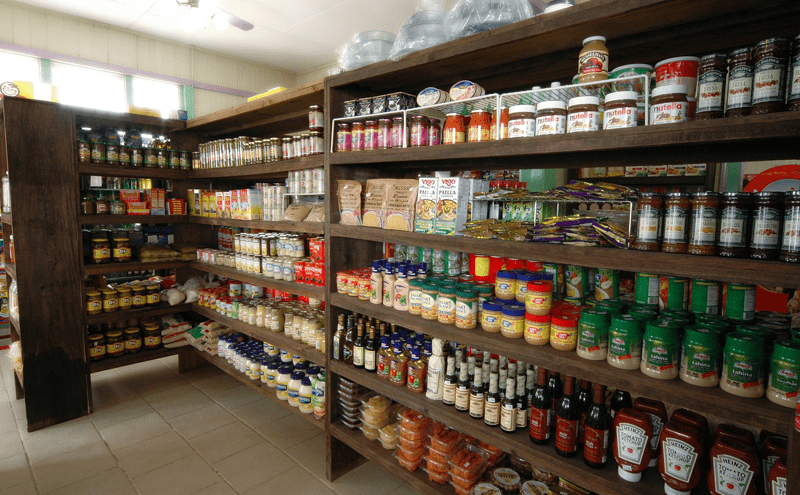 If you’re looking for something special or want to see what’s out there beyond the big box supermarket chains, there are plenty of smaller scale shopping options in Panama as well. One of my favorite small grocery stores in all of Panama is Super Gourmet! Make sure to visit the one in Casco Viejo, which features wonderful prepared foods, imported beers, and fantastic baked goods. I have no doubt in vouching that the chocolate filled croissants are worth the drive from anywhere in Panama! Super Gourmet also has a small supermarket in Bocas del Toro. There are other versions of this little supermarket and specialty food store in Panama, including two locations of Grand Deli Gourmet located on Calle 50 and Samuel Luis. While the Casco Viejo location is the best, if you live in San Francisco or Obarrio, a trip to Grand Deli Gourmet is fully worth it. Both locations feature high end meats and cheeses as well as an exquisite wine selection. And, the location on Calle 50 has, hands down, the best salad bar I’ve seen in Panama yet. At $8.50/pound it certainly isn’t cheap, but the selection is fabulous and makes the perfect lunch paired with one of their soups. If you’re looking for an outdoor shopping experience, there are a handful of farmer’s markets in Panama that are certainly worth a visit. The largest of these is in Calidonia, across the street from Ancon hill on the way to Albrook. It is called Mercado de Abastos. To get there, the easiest way is to take Via Espana all the way to the end, take a right and then take your first right about half a kilometer up the road. As you’re approaching, you can’t really tell what it is, because there are a few non-descript store fronts, but go through the guard station and you’ll be blown away. This market is mostly set up for wholesale shoppers, but it’s a fun experience for anyone who enjoys fresh produce and getting your food from as close to the source as possible. You can find everything from beans and grains to herbs, fruits, vegetables, and prepared food, fonda-style. Shelf life can be an issue for things like carrots and celery, but for the most part the produce is very fresh and tasty at any of Panama’s farmers markets. You can save a lot of money on things like onions, pineapples, avocadoes, mangos, peppers, and fresh herbs like cilantro and scallions if you shop at any of the Panama farmers markets. There are other farmers markets scattered throughout the city, including Rio Abajo, Calidonia, Casco Viejo, and 12 de Octubre. The best place to buy fresh flowers is, without a doubt, the farmers market in Calidonia at the end of Via Espana (this is a different one from that mentioned above). It’s on the left hand side in front of a casino, and you can see the flowers on the road. They also sell things like fresh eucalyptus and medicinal herbs much cheaper than a grocery store. We have an excellent seafood market here in Panama. In fact, it’s as popular for tourists looking to try some authentic ceviche as it is for locals shopping for tonight’s dinner. 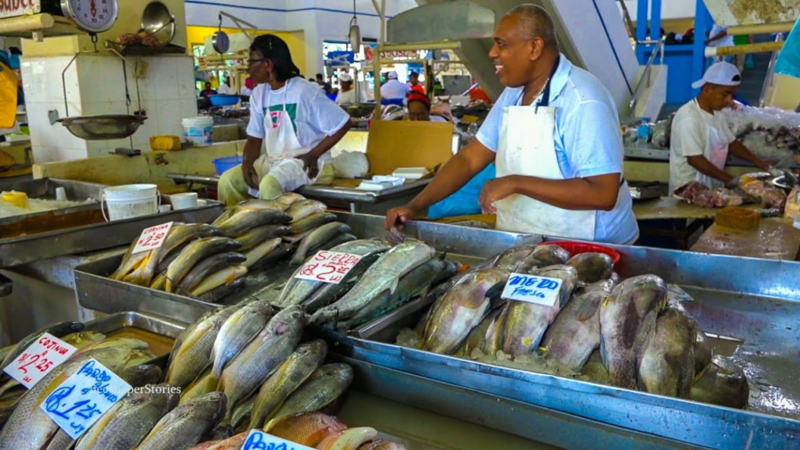 The market offers an amazing selection of very fresh seafood and they even have a nice little restaurant upstairs where you can eat the freshest seafood available anywhere in the city. Make sure to try their ceviche and the Panamanian special which is Corvina frita con patacones (fried corvina with plantains.) Grabbing lunch at the Mercado de Mariscos is sure to be delicious, cheap, and as fresh as it gets! Finally, if quantity is what you’re after, PriceSmart is Panama’s bulk food supermarket. 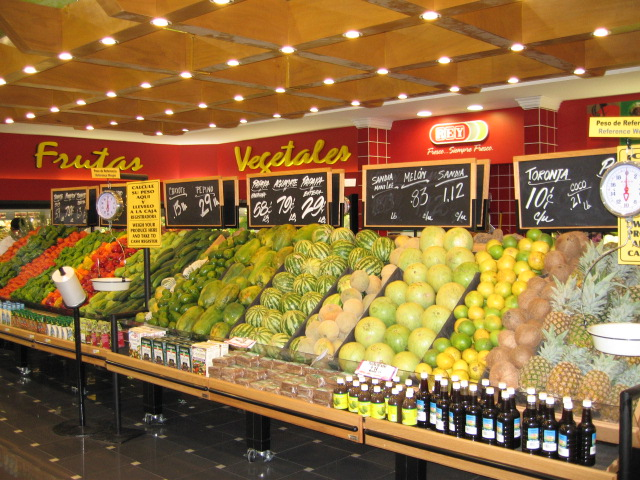 There are several PriceSmarts across the city including in Los Pueblos, El Dorado, Avenida Brasil, and David. Whether or not PriceSmart offers a good deal really depends on what you’re looking for. Sometimes it’s easy to justify buying a 5 gallon drum of mayonnaise because you may save $1.00, but I’ve found that sometimes the PriceSmart doesn’t necessarily offer the best deals. Granted, they have a few items that other supermarkets in Panama don’t have, including 5 pound bags of frozen strawberries, Land-o-Lakes turkey cold cuts, 2 pound blocks of Sharp cheddar, and a handful of other bulk items that you can save some money buying. Membership is right around $30 per year and I would say it’s worth it. If we missed any of your favorite spots for food shopping, leave a comment below telling us about it!